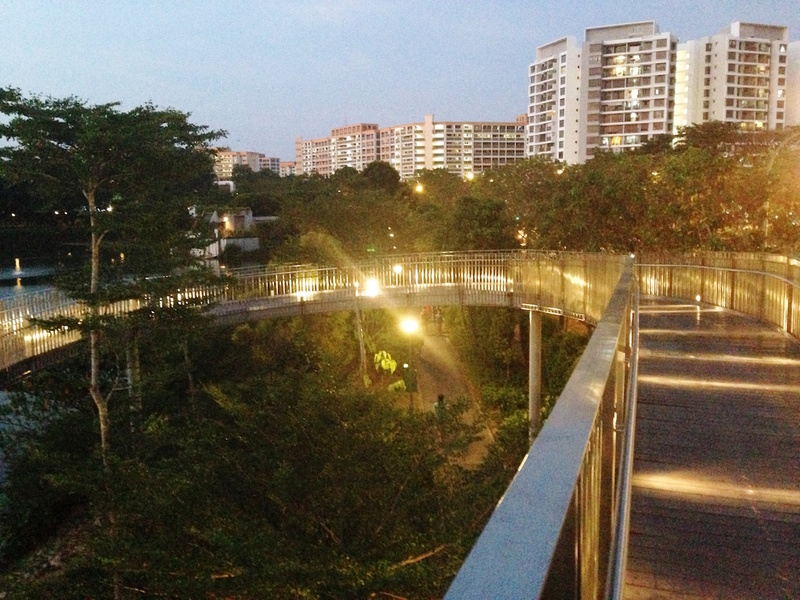 Yishun Pond Park | JustRunLah! 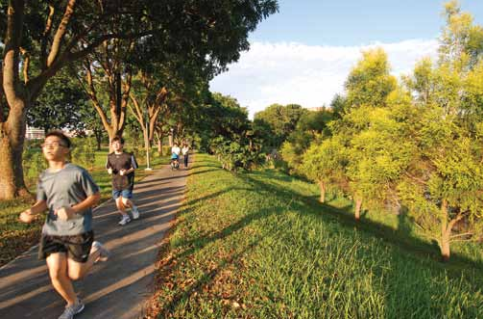 Enjoy a relaxing run around the water promenade in the heartland of Yishun. 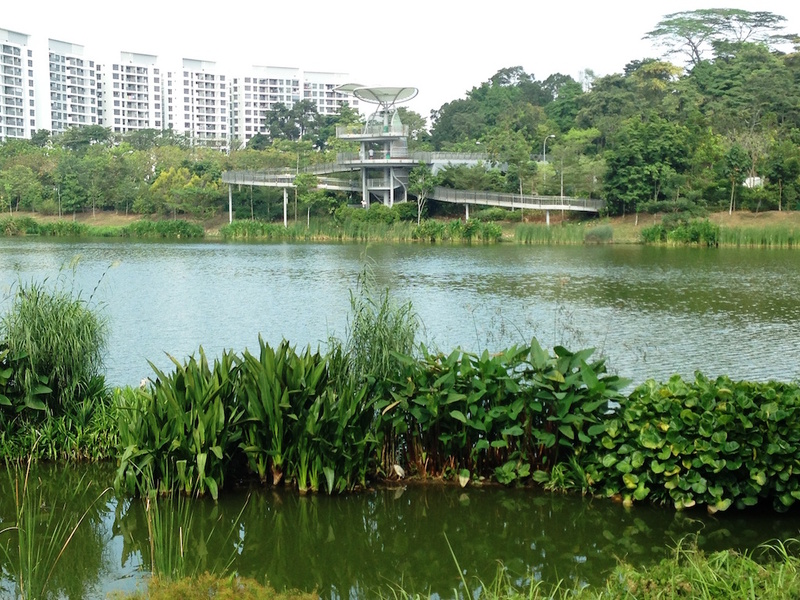 Yishun Pond Park is a haven of tranquillity for nearby residents. Featuring a pond surrounded by colourful plants and a variety of trees, shrubs and marshland plants as well as several bird species, the park is a great place for visitors to get close to nature. A barrier-free lakeside promenade extends seamlessly from the central courtyard of KTPH to the Pond – a community space where residents can gather for activities such as Qigong and Taichi. It also features fitness corners with walking and jogging paths to promote active lifestyles in the community. A run through the park allows you to see plenty of flora and fauna, including wild orchids and hornbills. After your run, you may also climb the spiral tower to enjoy a bird’s eye view of the surrounding areas. Alternatively, sit and relax at the benches and enjoy the tranquillity and beauty of the water promenade. 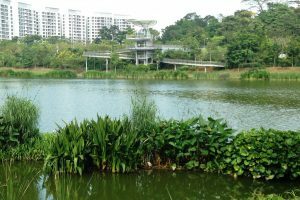 A loop around the pond gives only 1km, but you can extend your route by running around the nearby Khoo Teck Puat Hospital, Yishun Park, and Lower Seletar Reservoir Park. Otherwise, combine your running route with the Yishun Park Connector or Khatib Bongsu Park Connector.